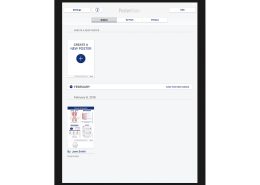 The Poster Maker application allows medical professionals to quickly and easily create customised posters with medical images, signed with their name. Tablets have now become part of our everyday lives. 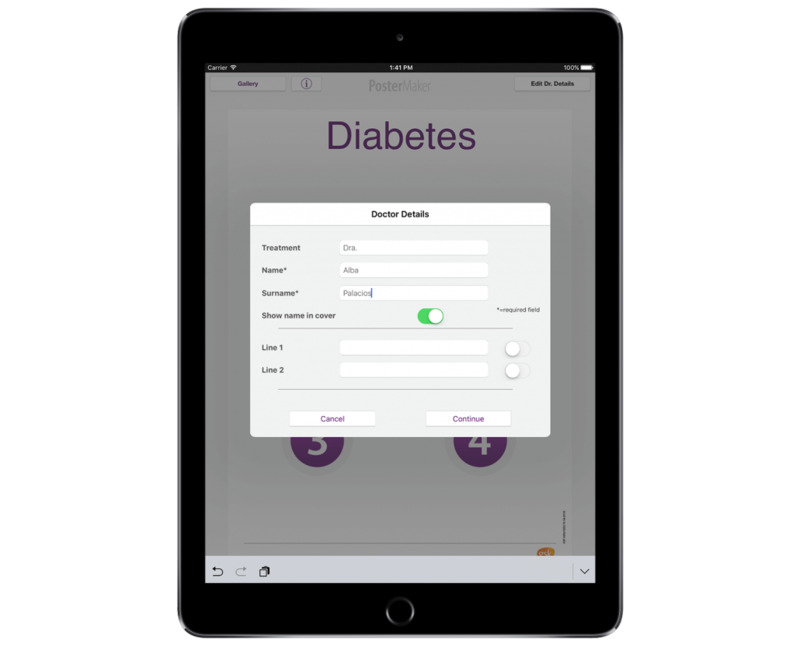 Their size, ease of use and interactivity makes them an ideal support tool for the completion of numerous daily tasks – whether in our personal or our professional lives. For this reason, ec-europe has specialised in developing applications such as the Poster Maker application. 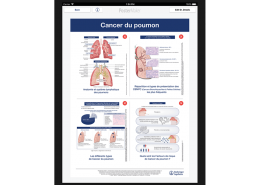 When installed on the tablet of a medical sales representative or on an exhibition stand of a pharmaceuticals company at a conference, this tool allows users to quickly and easily create medical posters with high-quality educational images, specifically intended for doctor-patient communication. 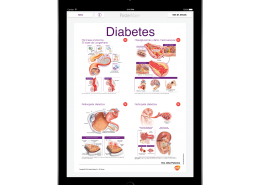 Doctors can choose the images they wish to show and customise them with their name in order to print a tailor-made poster and take it with them. 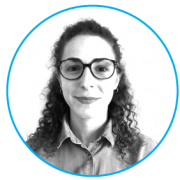 ec-europe offers a solution to the pharmaceutical industry that allows doctors to make reference to the sponsor’s brand as a partner in their daily professional work. 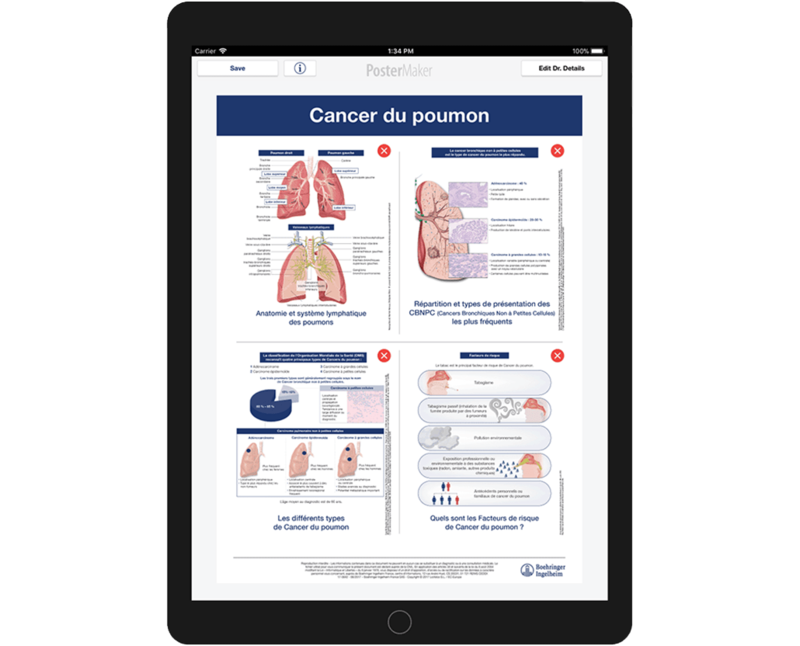 When installed on a tablet of a sales force representative, the application allows doctors to quickly and easily create a fully customised illustrated poster during the medical sales representative’s visit. • Gallery: main screen of the app. • Sent by e-mail: section where posters sent by e-mail can be viewed. • For printing: section where designs waiting to be sent for printing are placed. 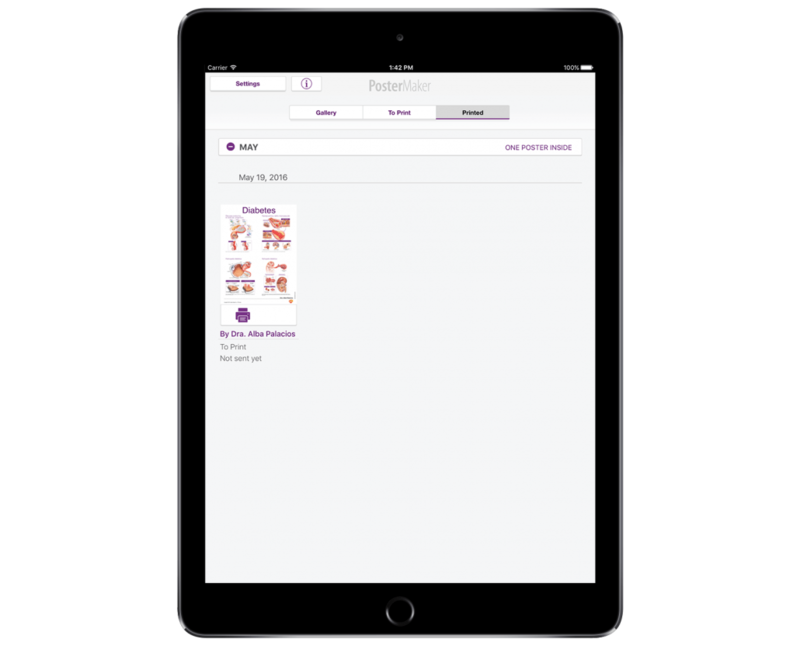 • Printouts: posters sent for printing, sorted by sending date. Pressing the “create new poster” button in the gallery instantly launches the window with the professional’s details. 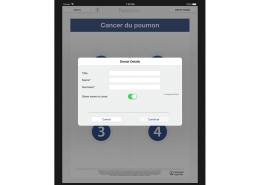 The first step is to enter the doctor’s details. 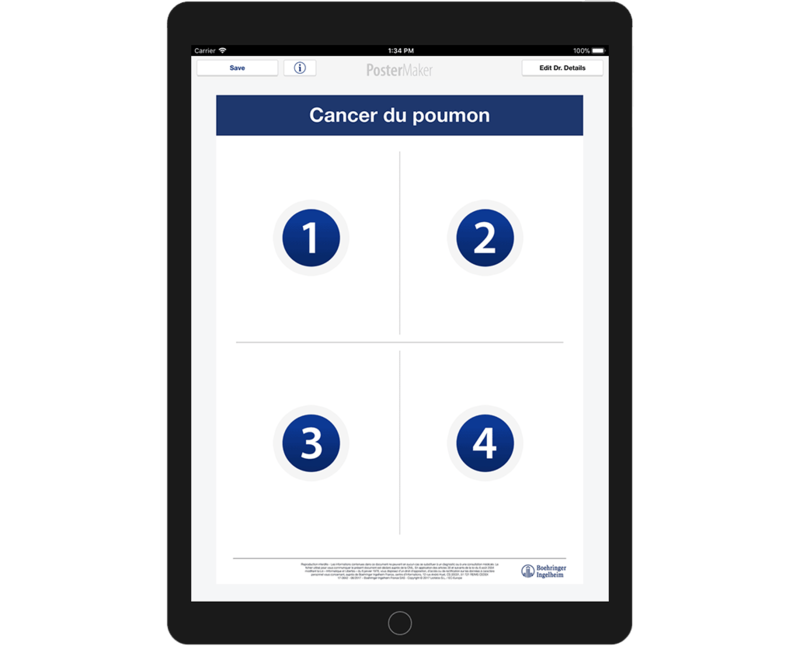 The application offers the possibility of customising the poster with up to 3 lines of text. The blocks that appear now have to be filled with content. There are different illustrations available to choose from. 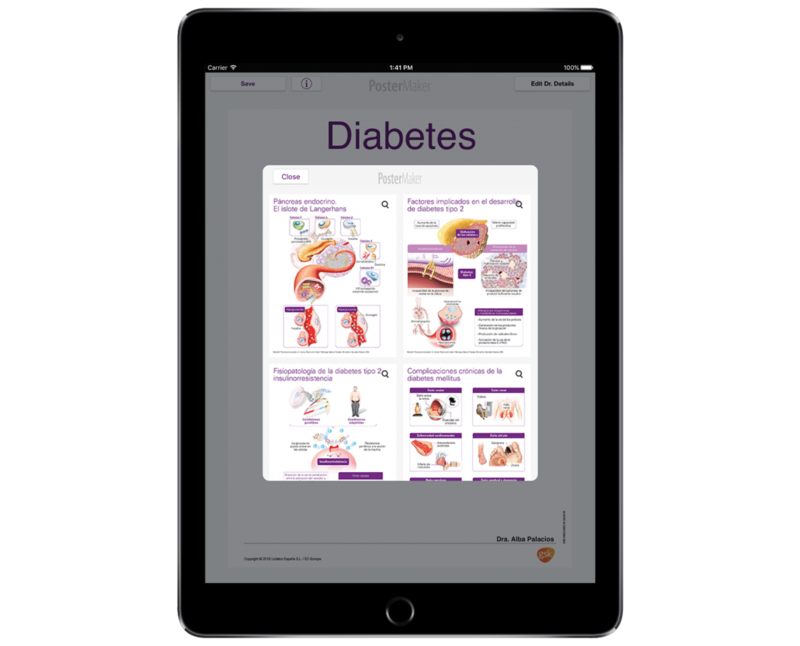 To obtain a detailed view of the available content, all it takes is a click on an illustration to see a magnified version of it. Once the poster is finished, it must be saved in order to store it in the gallery. Saved posters remain stored in the gallery under the date on which they have been created. 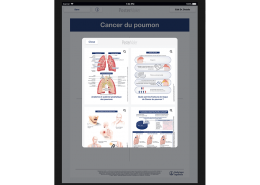 The representative can send the doctor an e-mail with a link allowing them to download the poster in PDF format. 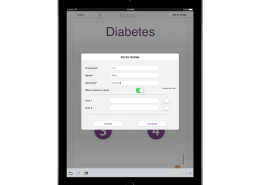 This provides the doctor with the images they have selected in digital format. The process ends with the representative returning to the doctor’s surgery to deliver the poster the doctor has created a few days earlier. 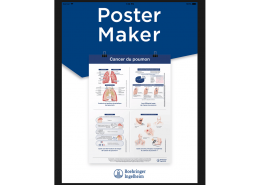 The Poster Maker application is offered as a service for exhibition stands of pharmaceutical companies at medical conferences. 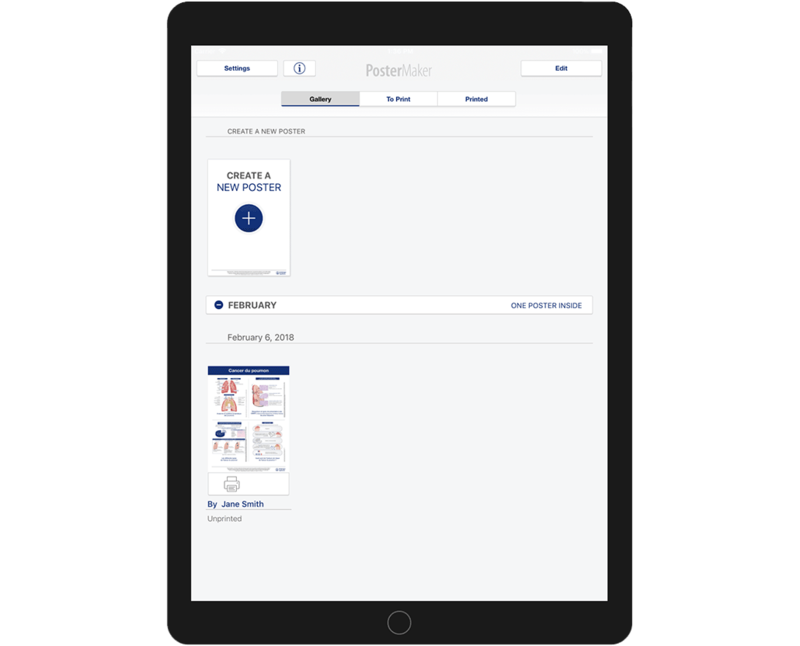 This service allows doctors attending a conference to visit an exhibition stand and take away with them a product they have created themselves, printed on-site in a high-quality format. 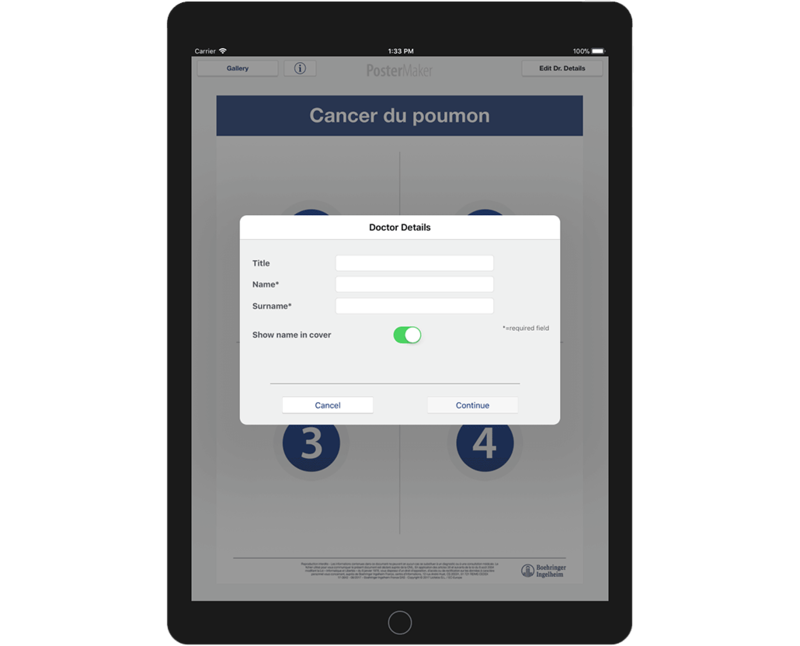 ec-europe and its distributors take care of providing pharmaceutical companies with iPads featuring the Poster Maker application, as well as the on-site printing service, including the technical support at the exhibition stand. ec-europe takes care of developing content blocks based on a brief sent by the pharmaceutical company. 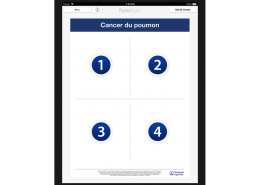 Both the poster and the application environment can be customised with logos and the colours of the pharmaceutical company or sponsoring drug. 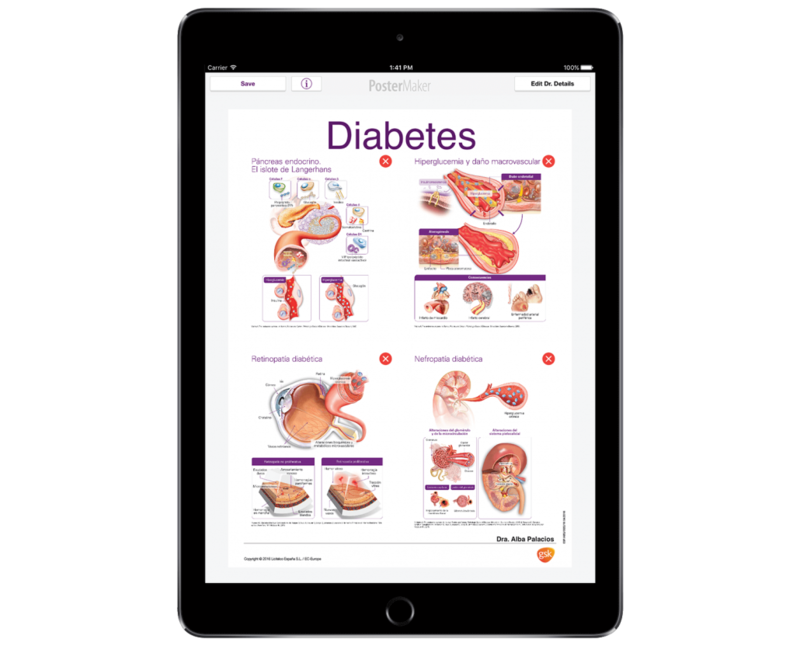 The standard poster formats include 4 or 5 images, but can be customised upon the pharmaceutical company’s request. 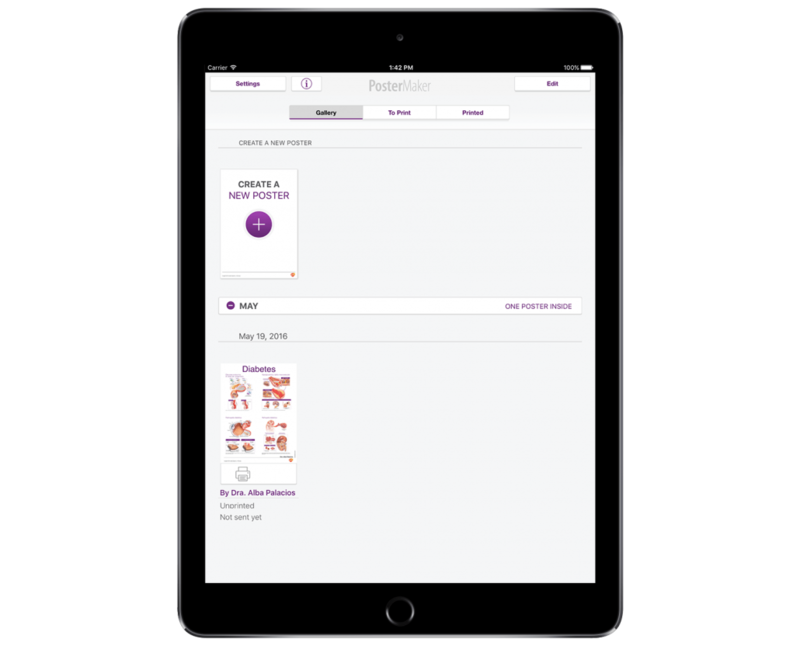 The technical support includes an instruction manual and a tutorial video to train representatives. Both materials are available within the application. 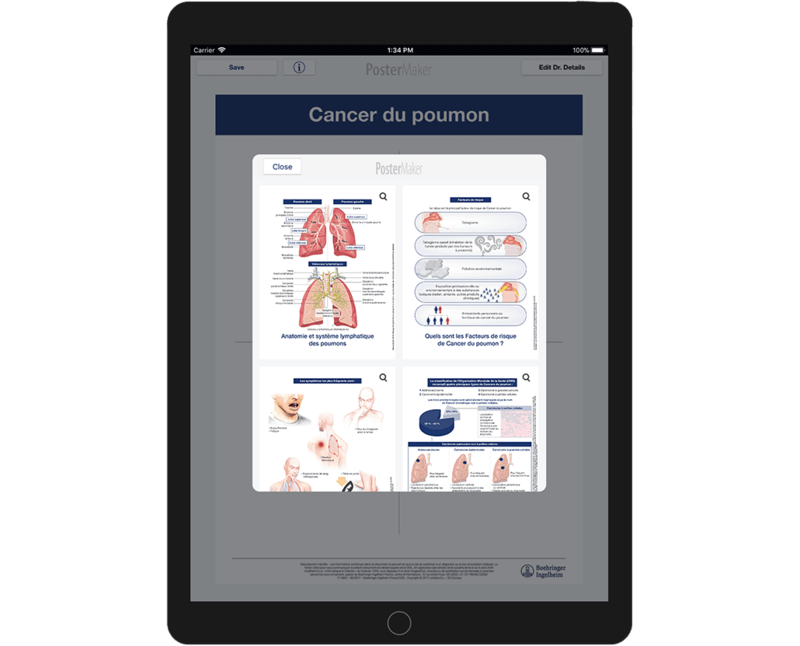 ec-europe and its distributors provide the technical support required for installing the app on sales force tablets, we are also in charge of printing the posters and sending data to the product managers. 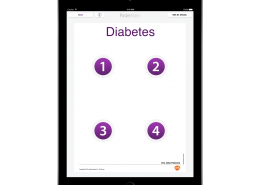 We also offer statistics on the use of the application. 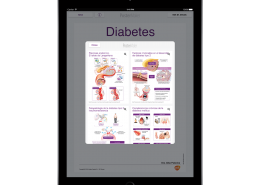 DESCRIPTION: This Poster Maker was used at the SED (Spanish Society of Diabetes) Congress in April 2016 so doctors attending the event could create their own poster and have it printed in situ at the company’s booth. 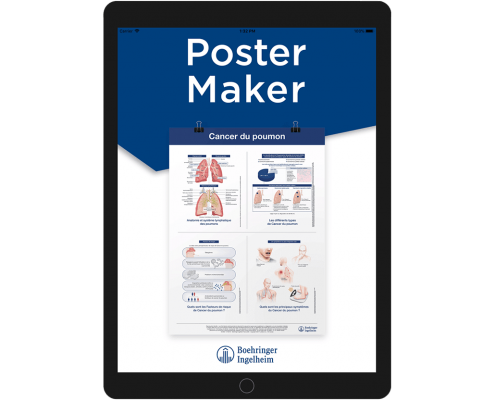 DESCRIPTION: This Poster Maker on Lung Cancer allows doctors to create customised posters on lung cancer by selecting from a pool of related illustrations. 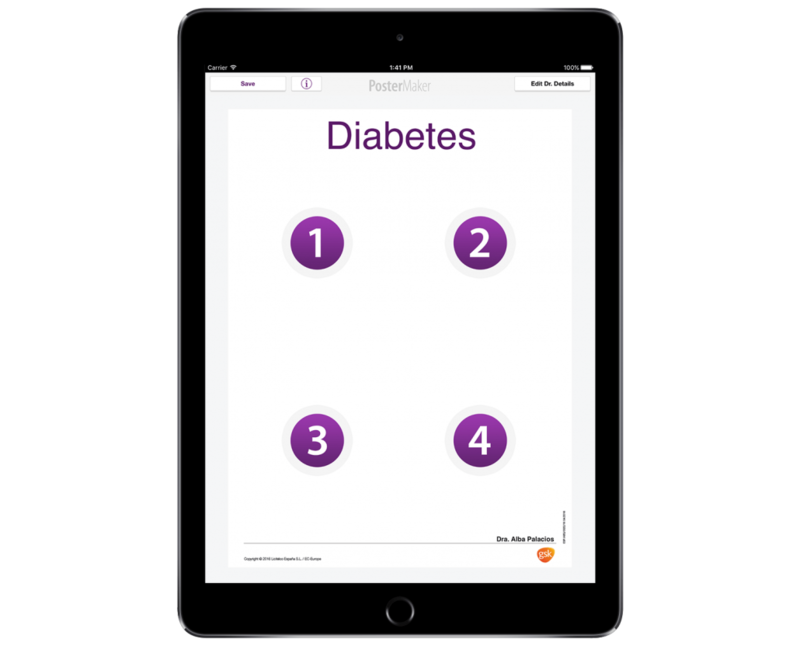 It is used by salesreps during their visits to doctors.